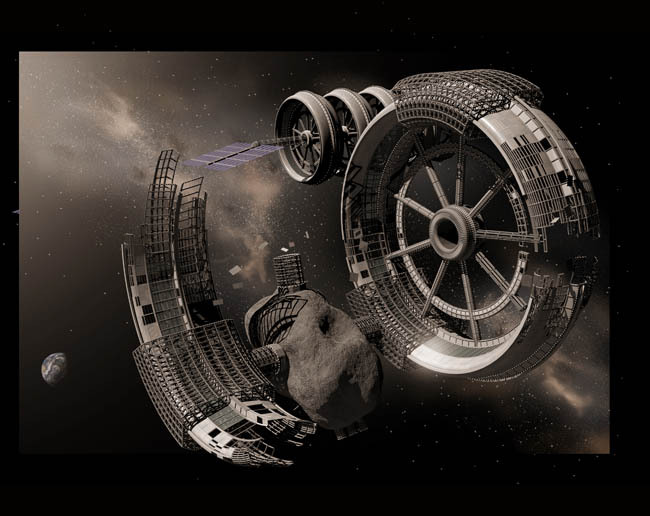 Description: In order to build the large stations of our dreams, we will need to utilize the massive amounts of raw materials already in space. The ability to harvest the metals contained within Near Earth Asteroids will make the most ambitious projects seem more feasible. Medium/Tools Used: Model created in 3D Studio Max, stars and compositing done in Photoshop.